One of the most dramatic festivals in Asia, the Hong Kong Dragon Boat Festival, this year in June, celebrates an event from some 2,000 years ago when Qu Yuan, a Chinese official, threw himself into the Mi Lo River in protest against corrupt rulers. Locals then rowed their boats in a rush to save him. Others beat drums and gongs in an effort to scare away the fish that might eat the hapless official. 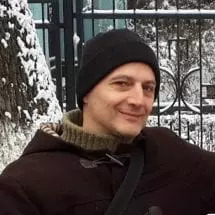 They were unsuccessful however, and afterwards they threw offerings of glutinous rice dumplings or zongzi into the water to calm the man’s spirit. Going back as far as the third century, on the fifth day of the fifth lunar month the Hong Kong Dragon Boat Festival commemorates this legend with energetic dragon boat races that evolved into massive, colourful events. The boat races still dominate today’s festival but other traditions such as people eating zongzi, have become part of it. 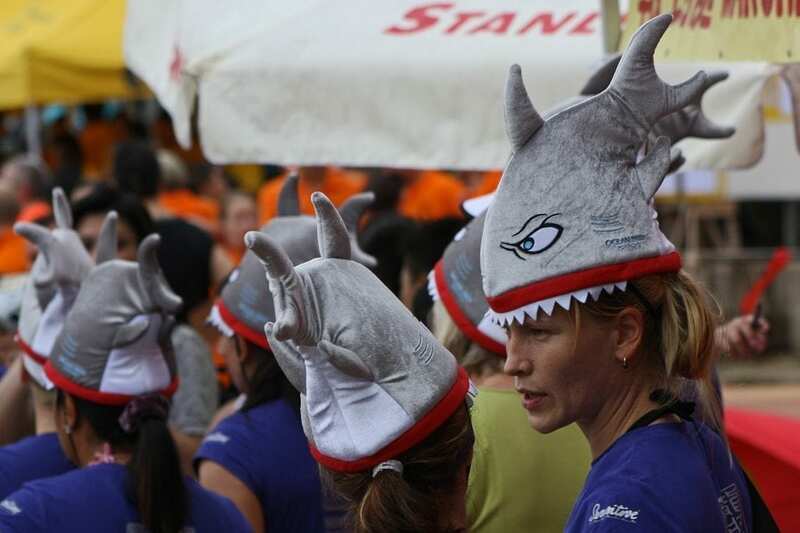 This year 7 June is the day of the festival – and coincides with a national holiday in Hong Kong – when Dragon Boat Associations will race against each other. 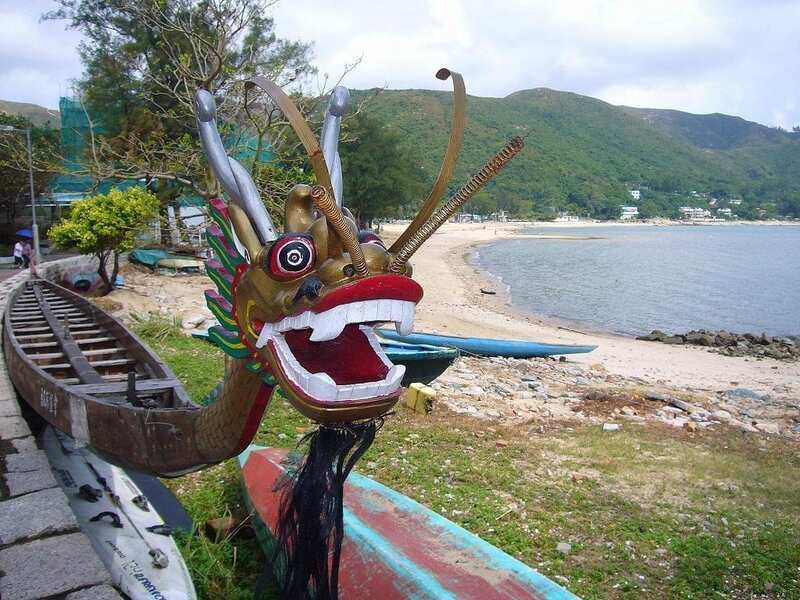 The elaborately decorated and fierce-looking boats measure more than 10 metres, are decorated with ornately carved and painted dragon heads and tails, and each carry a crew of 20 to 22 paddlers who compete to the beat of heavy drums and the roar of the spectators. 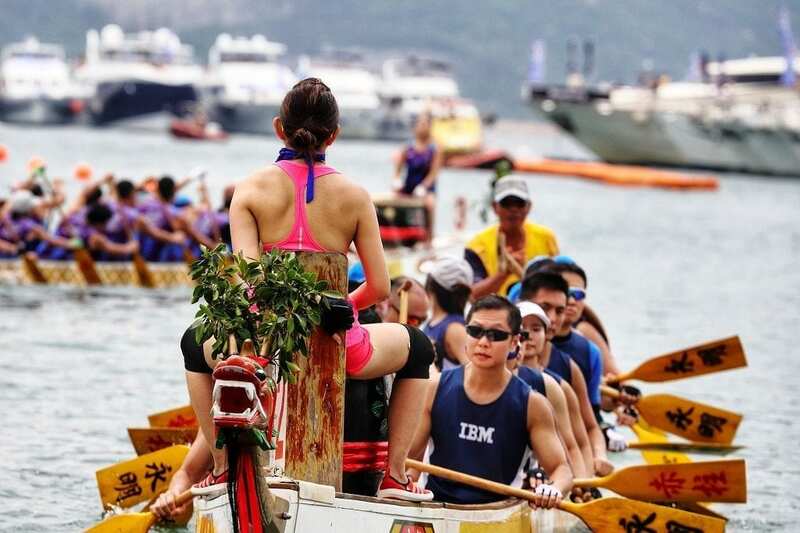 A week later, from 14 to 16 June, the festival is followed by three days of intense boat races during the CCB (Asia) Hong Kong International Dragon Boat Races when thousand’s of professional athletes battle it out against each other on Victoria Harbour. The races are held throughout Hong Kong, but one distinctive spot to watch them is the fishing town of Tai O’ on the western side of Lantau Island. Set in the middle of traditional stilt houses, their festival includes a water parade during which temple deities are carried in elaborately decorated sampans pulled by the dragon boats. Along the way the locals burn incense and paper offerings and after the parade the boat races are held to entertain and please the gods. For another nautical event closer to home, check out the Lendy Cowes Week, Isle of Wight. Hosted by the Hong Kong Tourism Board, the Hong Kong International Dragon Boat Races take place in Victoria Harbour in the heart of the city and are, together with the Stanley Dragon Boat Championships, one of the top events in the global dragon boat racing calendar. But the entire event wouldn’t be called a Carnival if it were nothing but boat races. Live music and DJs, marching bands, lion dances, game booths, fancy dress competitions, kid zones, an artificial sand beach and San Miguel beerfest tents transform Hong Kong’s central waterfront into a huge party. Meanwhile over a dozen food trucks will be dishing out local favourites and international classics. The heart-pounding action of the festival can be watched all along the Promenade on both sides of the Harbour and is free to the public. 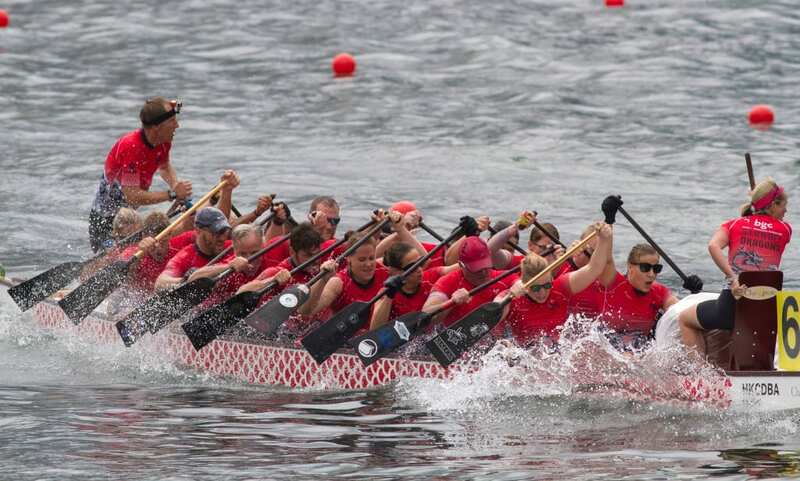 On the same day, 7 June, Macau also organises international dragon boat races which have become one of the biggest outdoor events of the peninsula. They usually last three days and take place in the Praia Grande Bay or Nam Van which is on the east side of Macau. Check the Sports Bureau of Macau website for the latest details. Visit the Hong Kong Tourism Board’s website. Cover image: Hong Kong Tourism Board via REUTERS Content Solutions.